The Air France-KLM group on Saturday denied it had made an offer for ailing airline Alitalia, a day after Italy's industry minister listed it among three bidders. Alitalia, struggling to compete with low-cost European rivals, went into administration last May at the request of its shareholders after staff rejected job and salary cuts as part of a two-billion-euro ($2.4 billion) rescue plan. 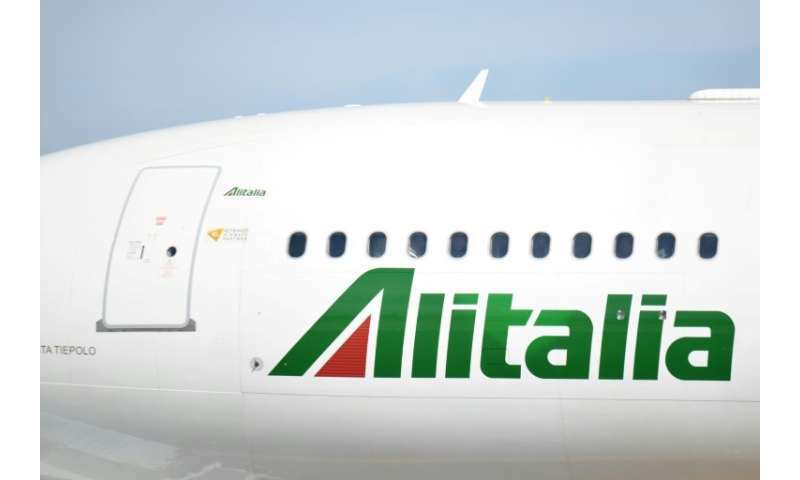 "Air France-KLM denies making an offer to buy Alitalia," a statement said adding that the group "had not taken part in the process launched by Italian authorities." On Friday, Economic Development Minister Carlo Calenda said on the La7 television channel that there were three offers: one from German airline giant Lufthansa, another from US private equity group Cerberus, and a joint EasyJet-Air France bid. "The presence of Air France is not sure and I will verify on Monday with the Alitalia administrators," Calenda however said. According to local media reports, Lufthansa wants to lay off 2,000 employees—almost a quarter of the total on the aviation side—if its offer for Alitalia is accepted. Alitalia has 11,500 workers in total.